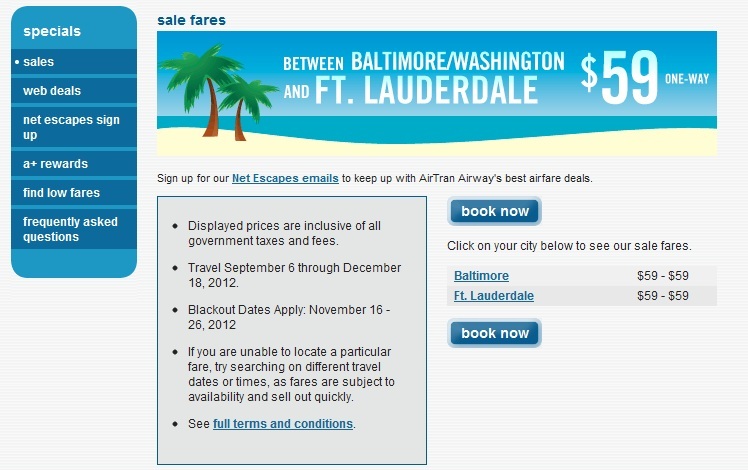 Charm City Traveler: Baltimore to Fort Lauderdale for $59! File this one in the "Solid Deal" category. 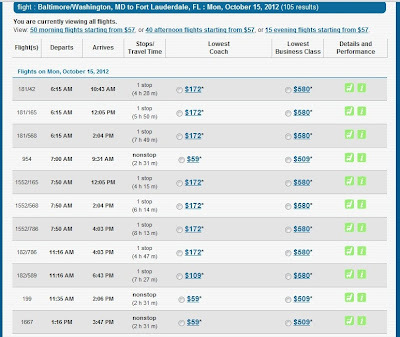 AirTran, soon to be integrated with Southwest Airlines, is having a fare sale for flights booked Baltimore to Fort Lauderdale and vice versa. One-way flights start at the very reasonable price of $59! I've tried to find restrictions, but am having trouble...which is always a good thing. The details on the fare sale/promotion are below. As you can see in the promotional details, dates of travel are September 6th through December 18th, with the only black out dates being the ever restrictive Thanksgiving period (November 16th-26th). 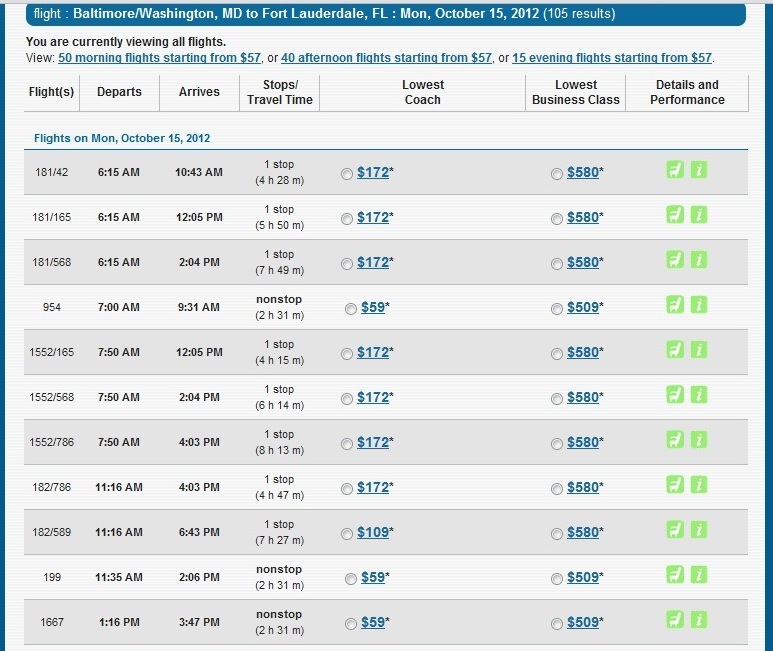 I experimented with several dates and used the "flexible schedule" feature on Airtran.com. The good news is that I found plenty of availability on several dates, and the $59 options were all non-stop. This is a great way to get to Miami for cheap. South Beach is a short 30 mile drive, and American Airlines fares to Miami non-stop are usually north of $300 round trip. Fort Lauderdale itself isn't a bad area, either. It's been three years since I visited, but they have a great beach area and tons of nightlife....maybe too much nightlife! Happy bookings, everyone! This is a great way to get to the beach during those chilly winter months. This makes me wish I lived in Baltimore!